I didn't grow up in Phoenix, but a lot of my friends did, and whenever they refer to the park at 59th Avenue and Bethany Home Road, in Glendale, they call it "Chicken Park". Of course, the official name is Bonsall Park, but if you Google "Chicken Park", Google still finds it. Go ahead and try it, I just did. There haven't been any chickens there since the 1960s, but somehow the name has stuck, which I think is kind'a cool. 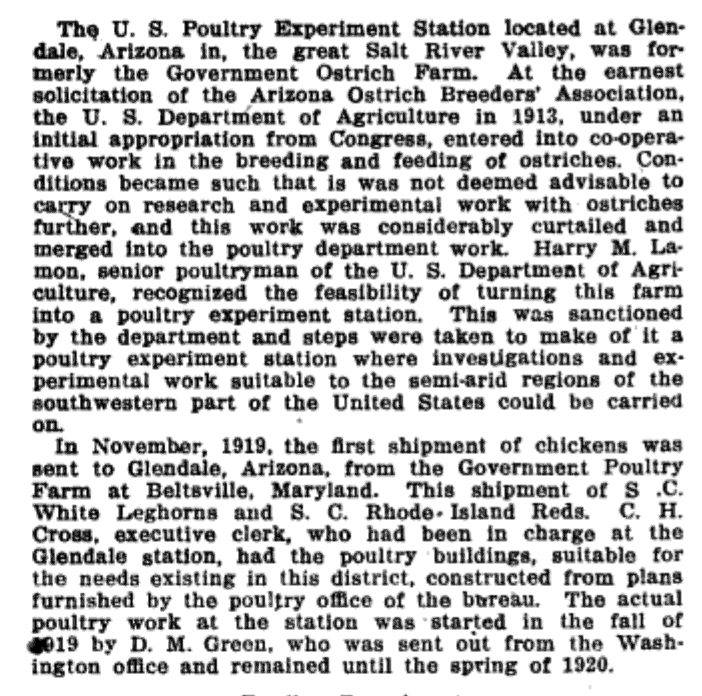 It goes back to 1913, when the U.S Poultry Experiment Station in Glendale was the Government Ostrich Farm. The chickens arrived in 1919, and from what I can tell, they were gone by the 1960s. 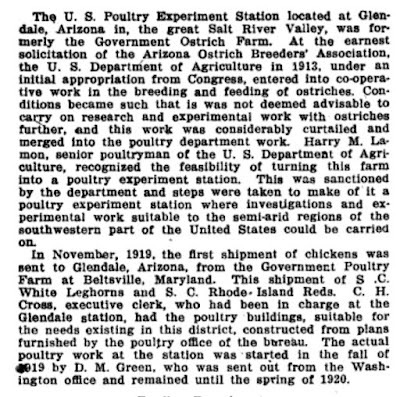 From the California Poultry Journal, Los Angeles, California, May 1921.